On the first two days of September, the premises of the Ministero dello Sviluppo Economico will host the CIVIC EPISTEMOLOGIES Kick-off Meeting, which brought together 12 cultural institutions and archives, universities, research centres and innovative SMEs from all over Europe. 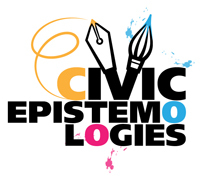 The CIVIC EPISTEMOLOGIES project is about the participation of citizens in research on cultural heritage and humanities. The project will last 16 months and it has received funding from the European Union’s Seventh Framework Programme for research, technological development and demonstration. The project aims to develop and validate a Roadmap for the use of e-Infrastructures to support the participation of European citizens in research on cultural heritage and digital humanities. Critically, the Roadmap will offer support for improved social cohesion arising from the sharing of knowledge and understanding of Europe’s citizens common and individual cultures. The project, started on August 2014, is coordinating by Mauro Fazio for the Italian Ministry for the Economic Development while the Technical Coordinator is Antonella Fresa, Director of PROMOTER. 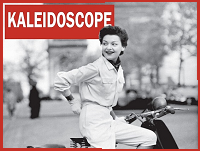 More information for the project are available on the project official website: www.civic-epistemologies.eu. 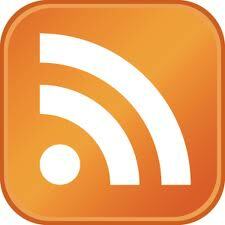 More information about the kick-off meeting are available here. Organised by CODATA-Germany, the German National Committee on Data for Science and Technology of the International Council for Science, the DCH2017 International Conference will take place in Berlin, at the National Library, on August 30 - September 01, 2017. 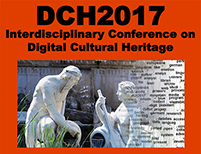 The conference focuses on providing key messages relating to the impact of new technologies and processes on cultural heritage.